When I Grow Up I Want to Be a Nurse! Amber doesn't really want to play soccer. She's afraid she'll get hurt. But her friends and mom convince her that it will be fun. When she breaks her arm during a soccer match she learns to overcome her fears and also learns all about nurses in the process. Colorful photographs are the backdrop for the cartoon like illustrations that help tell the story of Amber's journey. Inserts and pictures tell more about nurses and their background. 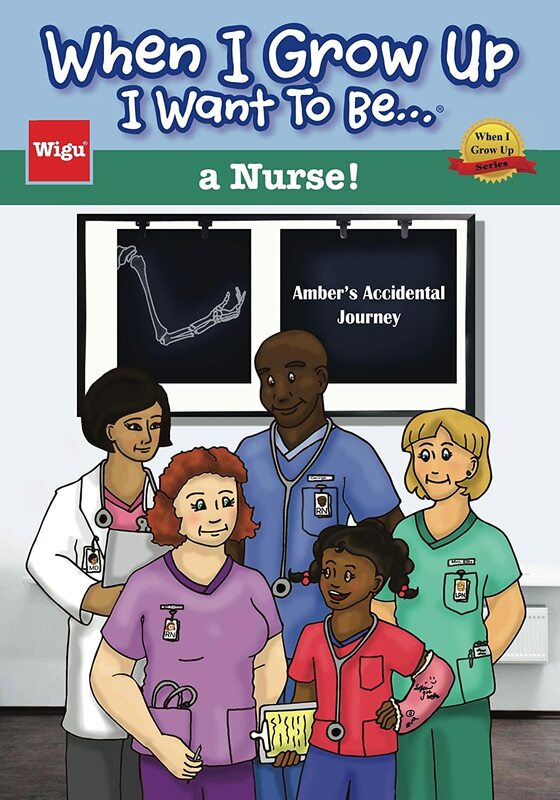 The story is fun, but also has a deeper layer that will help children learn more about nurses while enjoying the book. My six year old enjoyed the story and the book opened up a conversation about all of the different aspects of the medical field. This book would be good for schools or anyone wanting to teach their child more about the nursing field. I received this book free of charge from Bostick Communications in exchange for my honest review.